Things are happening early this season in the Premier League, and it seems like Liverpool will make their first signing with England international Adam Lallana of Southampton, although there’s nothing final yet. The 26-year old midfielder who has made three caps for the English national team and has had a brilliant 2013-2014 season (9 goals, 8 assists) is keen on a move to a big club, and with Liverpool now not just being a big name but also a team making the Champions League, they seem to fit the bill. Manchester United have also shown interest in the player but it looks like Liverpool are beating them to the punch at the moment, although there needs to be an agreement on the price with Southampton. The Southside club are looking for £25 million but Liverpool have lodged a £20 million bid which they hope will be enough. They’re basing their confidence on Southampton owing around £27 million in outstanding transfer fees, as well as a loan to owner Katharina Liebherr for training ground renovations. This means that both the transfers of Lallana and Luka Shaw (probably to Manchester United) are going to go through, without Southampton having too much room for leverage considering their financial situation. Lallana is signed until 2018, but he’s pushing for an exit now, and it doesn’t seem like the Saints are going to stand in his way. 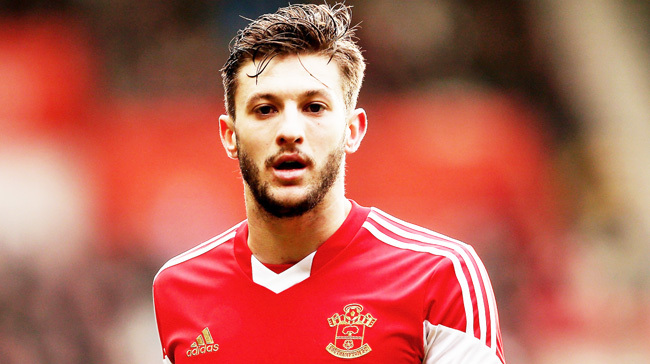 Lallana has played his entire career with Southampton, including in the Championship and League One years, joining their youth setup when he was 12 years old. In 2007 he played three matches for Bornemouth, going on loan to the first club he ever played for as a boy. Is this the transfer Liverpool need? Many believe this offseason will mostly be about depth and not bringing in big names. Liverpool squad’s was significantly shorter than their title running mates, and in almost every position one can find a hole or need to upgrade, or at least add some competition. Lallana might be expensive, but signing English international players these days comes with overspending.